Comments: This variegated selection's young foliage is yellow-gold. 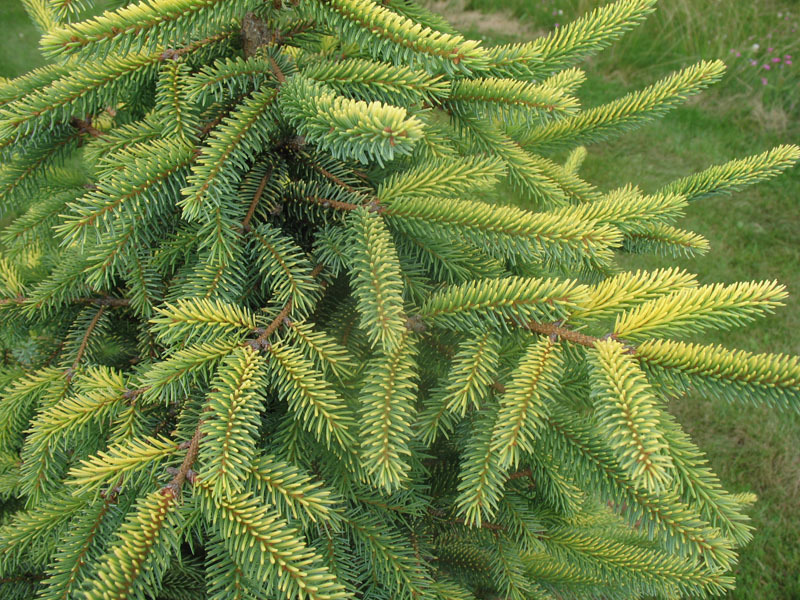 Blue-green needles of Picea ’Aureovariegata’ have a frosting of creamy yellow on the topside of the needles, giving a layered look to the branch structure of this broad upright conifer. The golden coloring varies throughout the seasons, but can be seen to the greatest extent in spring.